I'm updating from a full tower Coolermaster HAF X79 system with a Nvidia 770 GPU and a 6-Core Intel CPU to a X99 Micro ATX system combining a Nvidia 1080 GTX Founders Edition with Broadwell 6-Core CPU. I wanted something more up-to-date and that was more portable, and the build parts you see in my list did the trick. The build itself was pretty easy. The Prodigy M, with my ghetto handle upgrade (insulation padding and duct tape), was easy to work with. I pulled the optical drive cage out and it turned into a nice open system that fits a 240mm radiator and the long 1080 with ease. It's possible to hide most of the cables in the upper corner, but there's nothing fancy about the cable routing in this case. I bought it because it was cheap and has handles. That said, the unmodded handles are sharp, especially once the system is filled with component parts. The padding/duct tape combo works just fine to alleviate that issue. NOTE: I’ll add some comparative benchmarks between this system and the old system here in the next couple of days. Sorry, I can't offer any review-like comments on OCing this thing. 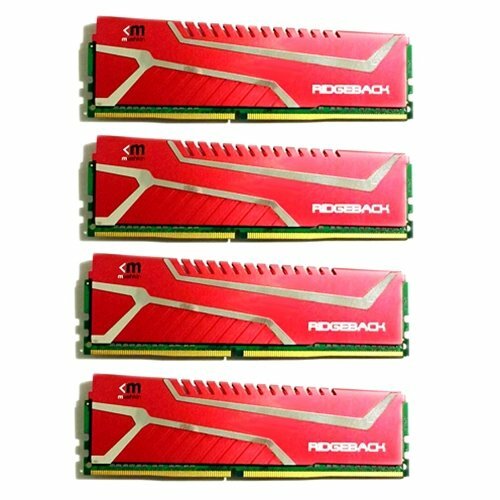 It has six cores, they run cool (see Corsair Link image) and my system is stable. I'll be doing some video editing in the near future and will update with an further thoughts based on how the system performs. As it stands, it's been a 5-star experience for me. For me, the H100i, is a huge improvement over the H100 I worked with from a build in 2013. The radiator hoses are thicker and wrapped with a slick mesh material that seems much more durable then the crinkled plastic hoses that came with my H100. All that said, the H100 has worked flawlessly for three years (with the exception of one fan dying). The H100i v2 keeps the processor much cooler, but that could also be the difference in processor generations. So far so good. Stable and cool: nothing to rate it below five-stars up to this point. On initial post this ram was recognized and locked into a pre-set. I haven't messed with it since. I've used Mushkin exclusively for the past five-years or so without a single stick failure and hoping for more of the same from this 32GB kit. This is a nice little box and was easy to work with. It comes as advertised and once you pull the optical drive tray, it's an open system that will fit a 240mm radiator and a 1080. Compared to my HAF, it's very portable, especially with my jury-rigged handles. No reason to take any stars off for me. I have this fan on the bottom of the case pulling air into the system up and across the 1080 and into the H100i fans, which are set to push air out of the system. It's relatively quiet for a 230mm fan, but definitely noticeable in a room with no competing ambient sound. There's one other 120mm fan pulling air in from the back of the system. In combination with one another, this makes for a very cool rig, even at load (see Corsair Link image for stats). Wondering why the rig was upside down. Then I remembered you have a prodigy m. Like this build. Nice build +1 GTX 1080 not in part list. Yeah, it was grayed out when I searched it. I'll add it as custom. Ugly duckling? I mean, the colors aren't in my tastes, and it is a duck, but I wouldn't call it ugly... Closer to a... Weird Duckling! Yes, I know it's a book. T'is a joke. I like the color variance to be honest. Well done. Blaze orange + neon green = the ugliest thing I ever seen. jk though. Love the build and all the colors going on. +1. I couldn't help but notice a bit of an air flow issue at the upper part of the case. With the motherboard inverted, the GPU would be pulling in air from the top. The radiator fans would also be pulling air from the top. That would mean you have two sets of fans, the GPU's and the radiator's, playing tug-of-war against each other. 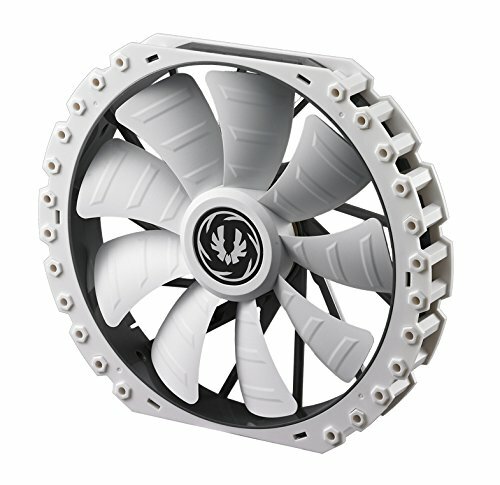 Have you considered having the radiator fans pull air as intake from the top? I know this reply is way late, but there's no airflow issue. 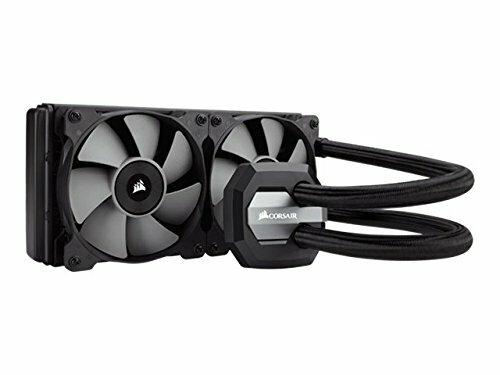 The Corsair H100i is set to exhaust. The design of this specific Nvidia Founder's Edition 1080 is also set to exhaust, pulling air in over the GPU and pushing it out the back of the system. If this was a card designed with multiple fans set to push air directly into the system, there would, indeed, be a tug-o-war. As it stands, the current set-up is tight between the H100i's fans and the GPU fan, but my temps for both the CPU and GPU have been nice and low to this day. Doh! I never thought about that. Before I went with the current ghetto approach, I looked for the bike pads that used to go on handlebar crossbars on BMX bikes. My local bike shop didn't carry them. I'll check out the noodle option. Thanks.